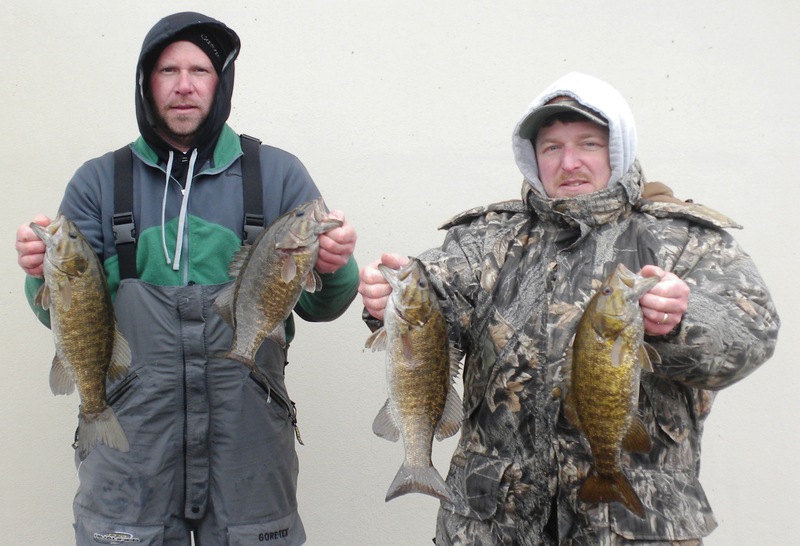 1st Place:Brad Sterling and Jason Horvath weighed 11.08 pounds of smallmouth to win $344. 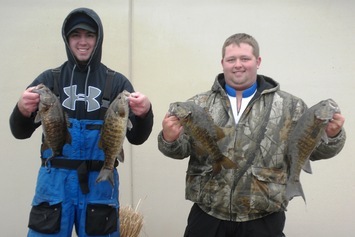 2nd Place:Steve Szymczak and Jordan Felton's 9.76 pounds won them $244. 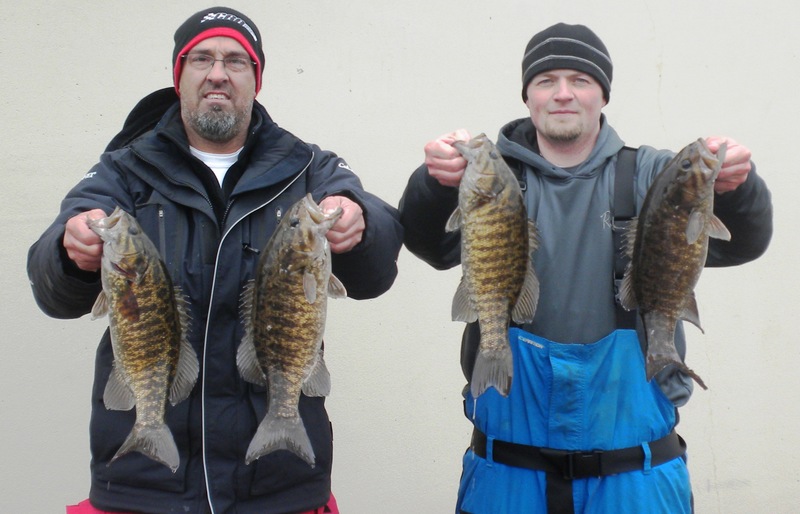 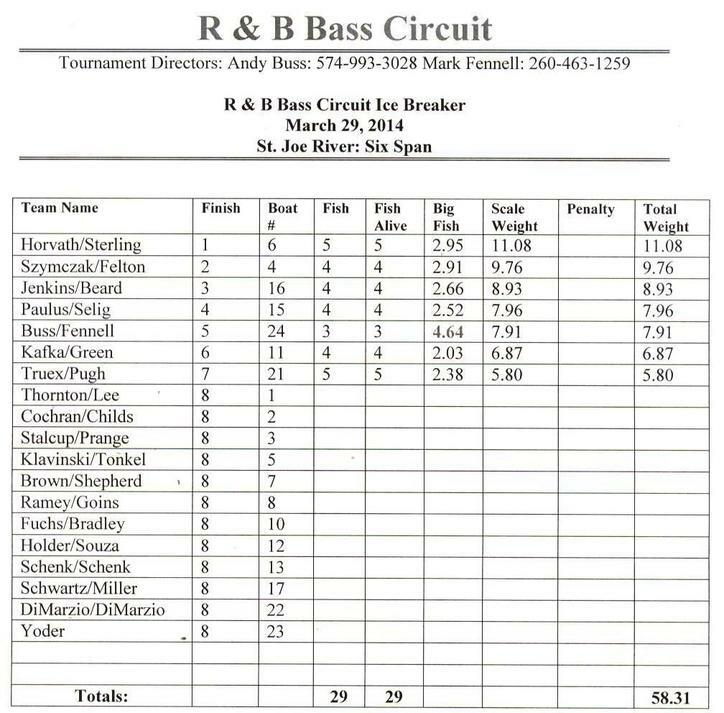 3rd Place: Despite a dead cranking battery, Scott Beard and Andy Jenkins caught four smallmouth weighing 8.93 pounds to win $144. 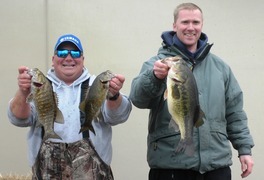 Big Bass Award: The 4.64 pound largemouth caught by Mark Fennell and Andy Buss won them $190.